Woodland View Fishery in Worcestershire offers a fantastic choice of nine pools to fish. There certainly is something for everyone and you should be confident that you’ll catch a few all year round. If you’d like to catch some carp on the pole then this should certainly be a venue you should check out. Arles Pool – great for pleasure sessions. Open matches on here are often won with bags of 150lbs+! Tactics wise, pole, feeder and the waggler will all put fish in the net. There are 40 pegs on this lake. Dean’s Pool – there are 2 identical pieces of water that make up Dean’s Pool. This lake was designed primarily as a match venue, so to make things fair there is very little difference between the pegs. This pool is open to pleasure anglers if there are no matches booked in. The two pieces of water are referred to as “Front Deans” (33 pegs) and “Back Deans” (31 pegs). The carp in here run into the 20s, but there are also bonus bream, tench, barbel and perch. Ghost Pool – this a great water which is stocked with a lot of fish! The carp in here go to around 20lb, with the average stamp of between 3-4lb. 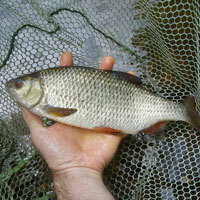 There’s also a good head of silver fish too, which will provide good sport through the colder months. Winning match weights on here will generally need over 100lbs. Hay & Barley – these two “canal” style venues offer fishing from just one bank, this ensures that each peg has a good range of water to go at and helps avoid far side bank disturbances. Matches on here are often won with nets over 150lbs. These are match only waters, so not available for pleasure anglers. High Pool – the deepest water and stocked with the biggest fish. The match record on here is over 285lbs! The carp in here go over 25lb and there is a good head of double figure fish. This is a larger and slightly more wild water than the others. The depth of the water is inconsistent, so when you get to your peg you should spend time working out where the fish holding features are. This is a match and pleasure lake. Woodlands Pool – the smallest water on the lake which is a great hit with beginners and people who need a guaranteed session with plenty of bites. 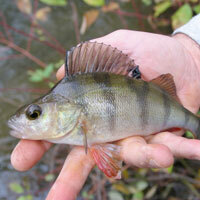 The fishing here will be prolific whatever the weather. Big Al’s Pool and Little Al’s Pool – two smaller waters which both offer 20 pegs in total. 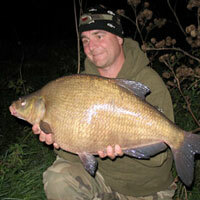 They are stocked with a wide range of species, with the carp running into the mid teens. These pools are popular for club bookings, so check in advance if you plan to pleasure fish them – if there’s a match on you will have to head elsewhere. The venue really does provide everything you could possible need for a great day out. 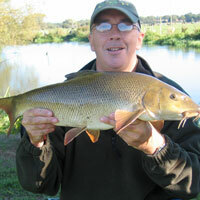 On site facilities include a tackle shop which stocks a good selection of items and bait. The cafe offers a broad menu of food and can cater for up to 100 anglers at a time. Each peg on the venue has been designed to allow disabled anglers access to the water. With close car parking and concrete platforms which have lips along the front, the venue owners have certainly taken everything into consideration. Address: Hay Lane, Hadley, Droitwich, Worcestershire, WR9 0AU.